The editor of the Sunday Telegraph’s Stella magazine has said editorial newsletters are seeing a resurgence as readers turn to “tried and tested” news publishers amid the rise of “fake news”. The Telegraph launched a daily email newsletter for its lifestyle magazine on 8 May, which includes segments on beauty, fashion and food and arrives in readers’ inboxes at midday on weekdays and 8am on weekends. 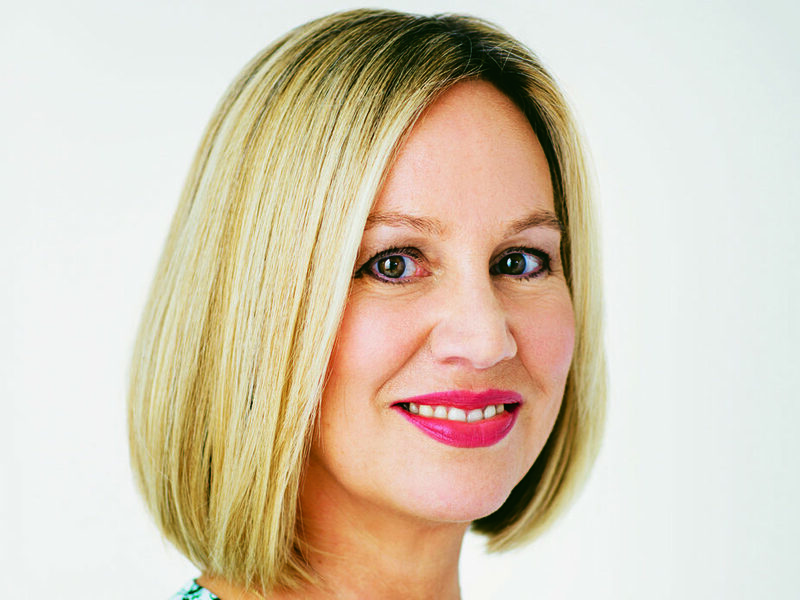 The Stella Daily newsletter gained 1,250 registered readers in its first two weeks, which editor Marianne Jones (pictured) said was a sign of “exciting times ahead”. The newsletter is being put together entirely by the existing Stella team of writers and editors and runs without adverts, being used instead as a purely editorial tool although it could gain sponsorship for the future. The advantage of newsletters, Jones said, was “you actually want it because you register to get it”. “I just think [a newsletter] is a really nice natural step to get the name out. Nobody can be complacent now,” she said, adding that when she took the reigns of Stella three years ago the strategy was focused on the magazine itself, whereas now “you can’t just rely on print”. 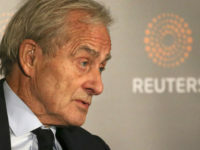 Jones added: “Newsletters seem to be something that are really, really taking off. “Even if they are not new per se, I feel and we have felt at the Telegraph for a while that the whole ‘fake news’ thing that’s taken off this year, it’s had the effect that people often don’t know what they are really looking for and don’t know what to believe when they find it. 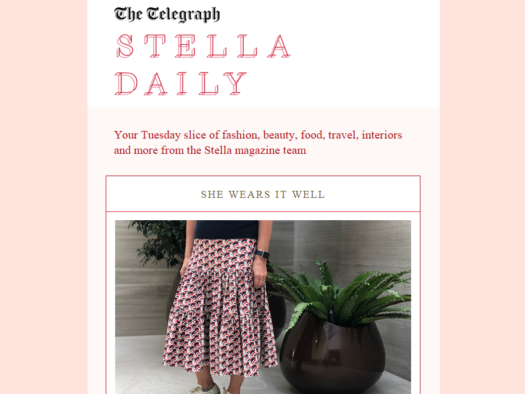 Stella Daily is one of seven newsletters launched by the Telegraph so far this year, alongside morning political email Front Bench, Brexit Bulletin, three rugby newsletters, and Technology Intelligence. An eighth, a daily World Cup Nerd newsletter, will be launched next month in time for the start of the football tournament. But Jones said each of the brand’s offerings were very different, saying the Telegraph is “so vast, it’s like a city”. Jones said that although the Telegraph has a number of successful lifestyle, fashion and beauty newsletters already, reader feedback showed that Stella is a “stand-out brand within the wider Telegraph”. “That’s why we thought it was worth creating a newsletter specifically for our readers,” she said. Jones is focusing on engagement and expanding the Stella brand with the newsletter rather than seeking sheer numbers, aiming for hundreds of thousands of engaged readers rather than millions. “It’s just a way of readers really connecting with us,” she said, adding that Stella is aiming to launch once or twice yearly events, and connect more with its demographic of women over 40 to “provide them with a treat”. Although Stella Daily features fresh content, like the daily She Wears It Well, which often showcases fashion choices from the Telegraph office, it mostly contains features that have already appeared in the magazine, or will appear in the next issue. This works, Jones said, because the two audiences will often not overlap and even people who go out and buy the newspaper may miss some of it on a Sunday. “We’re not just hitting existing readers,” she said. “The people who will go out and buy the Telegraph on a Sunday aren’t always the people who want it in their inbox. Readers can sign up to the Stella Daily newsletter here. How does the uptake of a lifestyle magazine indicate a desire for “tried and tested” publishers aka non fake news? Either research is being led or rather a desperate connection is being sought. Irrespective, wish the new venture well.